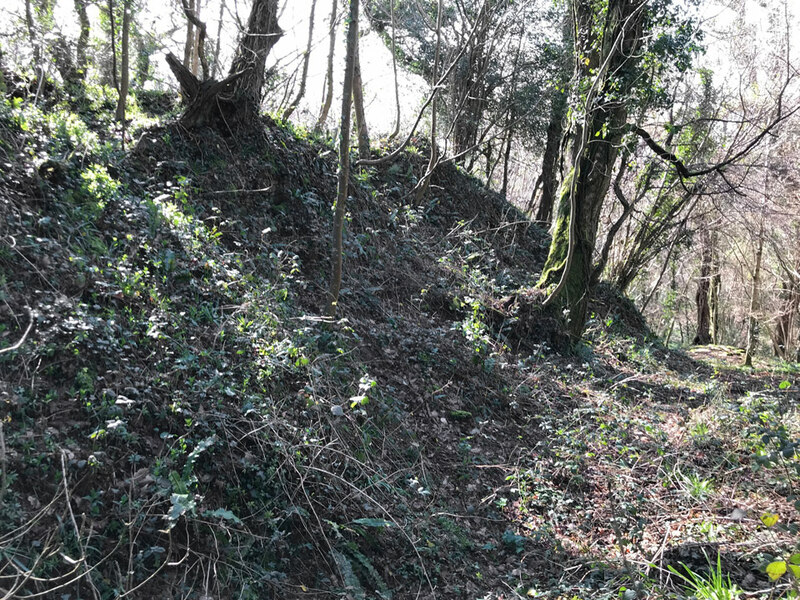 The site probably dates from the late 12th century and was built by the Welsh Lords of Afan who also controlled Castell Bolan, a mile to the west and the now vanished Aberafan Castle, demolished at the end of the 19th century which was 1.5 miles to the north. 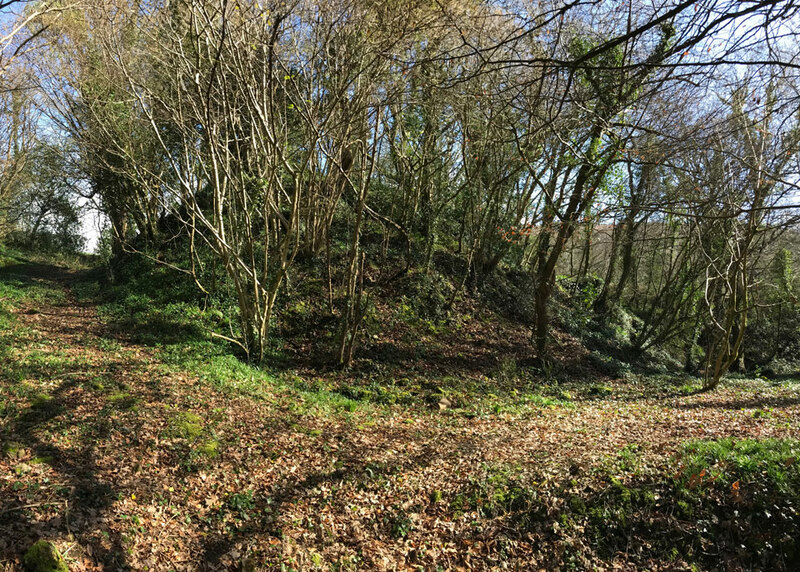 It lies on the eastern edge of the precipitous ravine of Cwm Baglan, across the ravine from St Baglan’s church. During the 15th century it was used as a cultural centre for Welsh music, but in the early 17th century it was abandoned and a new house was built nearby. 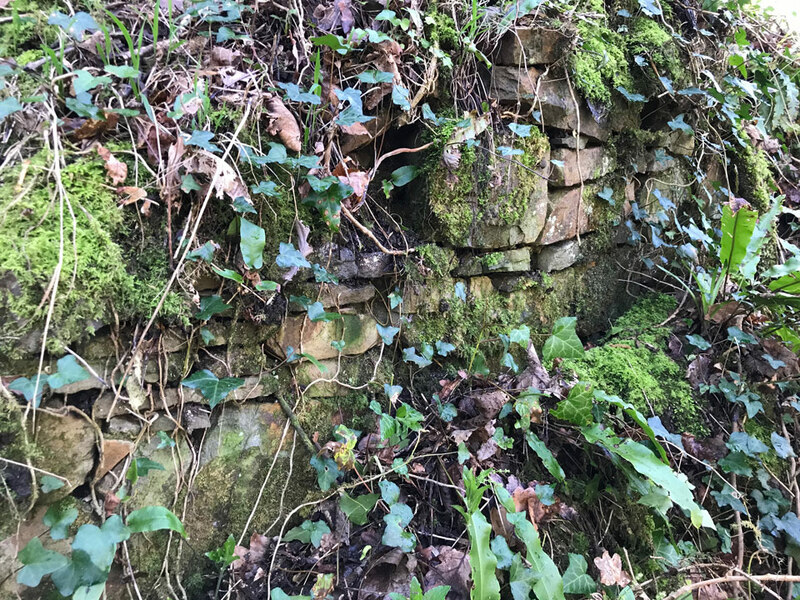 It is very overgrown now, but some masonry and foundations remains (the rest having been robbed out) which indicates that it was a square enclosure with an oblong tower at one end.